When I think of my happiest moments I always find myself by the ocean. Growing up in California, I spent a lot of my time at the beach. I've traveled to a lot of destinations in search of the most iconic sea photos. But there is something about California that always brings me home. This was taken in Oceanside, California right at sunset. Typically when shooting a sunset I aim to capture bright and vibrant colors. But there was something about this day that just made this image come together for me. 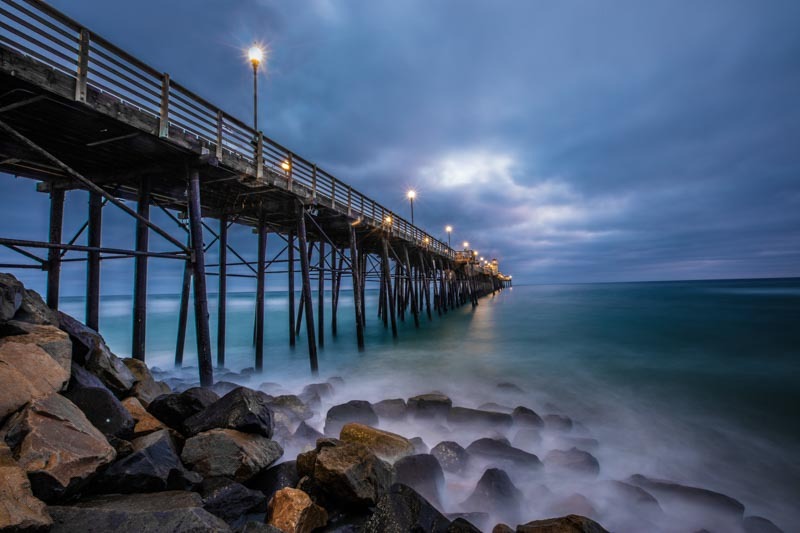 The way the waves hit the rocks and turn to mist, the yellow hues coming from the pier light posts, the flatness of the water, and the topaz colored clouds. 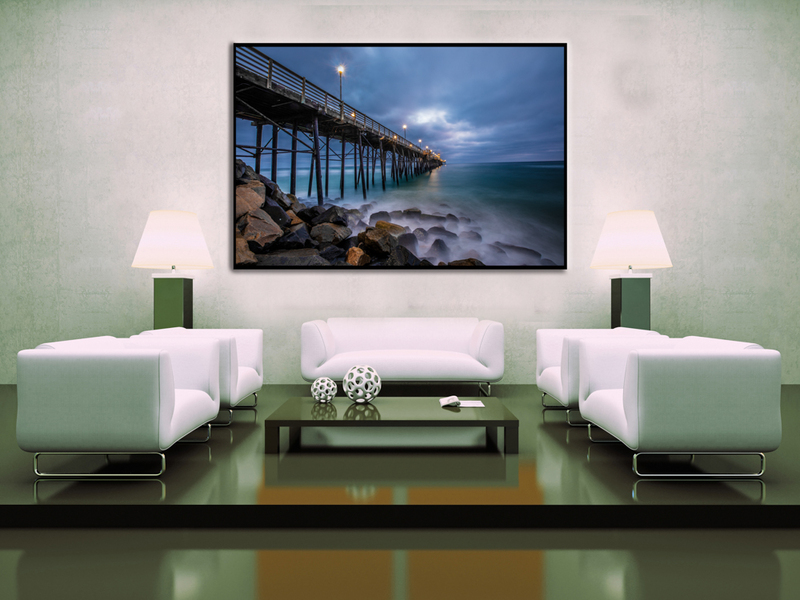 This image speaks calm and tranquility to the viewer and hopefully will bring just a small glimpse of the ocean's majestic beauty into your home.